Borlabs Blog – What is caching? Your website is too slow or you want to improve the performance of your website? Then caching can help you. Here you can find out what it is and the advantages of a caching plugin for WordPress. The so-called "cache" is a virtual buffer. Data that is repeatedly retrieved is buffered there. "Caching" means storing data in the cache. Caches are widespread today because they solve a common problem: websites are getting bigger and bigger. The growing amount of data means long loading times for the visitor and poor search engine rankings for the owner. Cache solutions, such as caching plugins for WordPress, help visitors to the website to provide the data quickly and efficiently. But how exactly does the caching work? 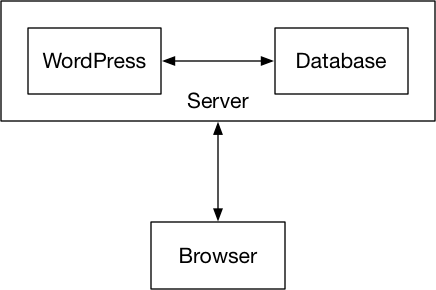 When a user calls up a website on the Internet, numerous, usually hundreds of requests are sent to the corresponding server. Depending on the amount of data and number of database queries, it may take a few seconds for the user's query to retrieve all data and deliver it in the form of a complete website. This process is repeated with each visit. This is where caching comes in: Relevant data is already cached with the first call of the website. If the user now calls up the website again, the data does not have to be retrieved again via the server but can be loaded directly via the cache. In this way, caching keeps queries when calling up the same website or the same data as low as possible. This is not only good for the server performance: For the user, the data is available on the website much faster - loading times are shortened. If you use WordPress as your content management system, you have a dynamic website. What does "dynamic" mean? With a simple, HTML-based static website, the data is delivered directly. This is different from a dynamic website: Here several components always communicate with each other. This is how it works: Your browser first sends a request to the server. This passes the information on to your WordPress installation, which then retrieves all relevant information from the database. If this happens, WordPress processes the received data, inserts the data into your theme and then sends it to the browser. Also here your browser makes a request to the server. But without WordPress, it only accesses the file (in this case index.html) and sends it back to the browser. As you can see, there's a big difference between both processes: With a dynamic website, data goes through a much more complex process until it is made available to the user. This is exactly where a caching plugin comes in. It helps to make queries and communication between the database, WordPress and the server more efficient. The plugin ensures that data from the database is "cached" - i.e. temporarily stored in the cache - and thus does not have to be called up again and again by WordPress. The Google PageSpeed Insights tool shows you its "Speed Score" in its result, which is between 0 and 100. In addition, this tool shows you the loading time of various components. The recommendations also point out improvements that you can implement on your website in order to reduce the loading time. The Pingdom tool shows you the performance level at a glance, which is also between 0 and 100 here. You can also see the page size, the total loading time and the requests. In the lower area, you will also see the amount of data of the graphics, CSS, scripts and the like. Also the loading times and sizes of the individual directories on the server. A caching plug-in controls the caching directly in WordPress and all other components that communicate with the content management system. This includes, for example, the database and the server. The browser cache only stores data that it must obtain from the server (e.g. graphics, HTML code, etc.) in order to be able to display the website completely. A caching plugin for WordPress provides better performance between the database, content management system and the server. With a caching plugin for WordPress, database queries can be reduced because the plugin caches entire pages. This already leads to a measurable performance boost. Browser caching data is cached locally on the computer. For example, the browser cache stores graphics that are loaded when a website is called up in order to be able to display them more quickly when called up again. This means that this data does not have to be downloaded from the server again. If you want to optimize your website, you won't be able to avoid a caching plugin. Especially if your website already offers a lot of content and you regularly have high traffic, caching is a "must". WIth caching you relieve database and server load. The result: a faster website. But even with small websites, a caching plug-in can have an impact on website performance - and thus on search engine rankings.